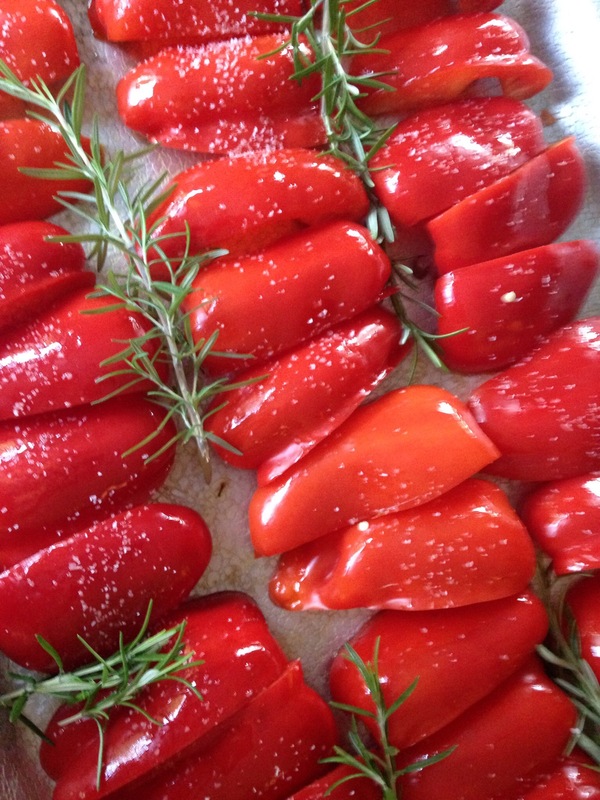 After 30 minutes or so in the hot oven, the juices and peppers begin to carmelize in the baking pan. 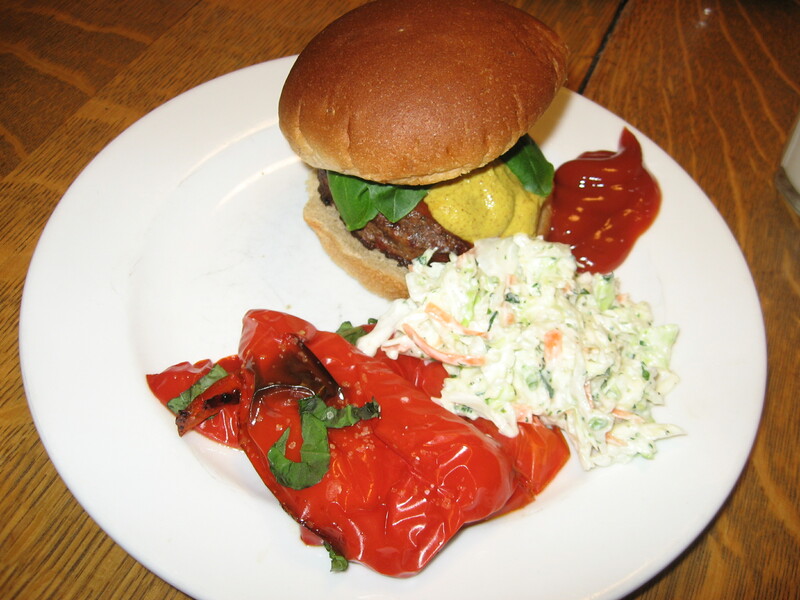 Roasted Peppers served here with Spicy Cilantro Cole Slaw and Grilled Hamburgers. 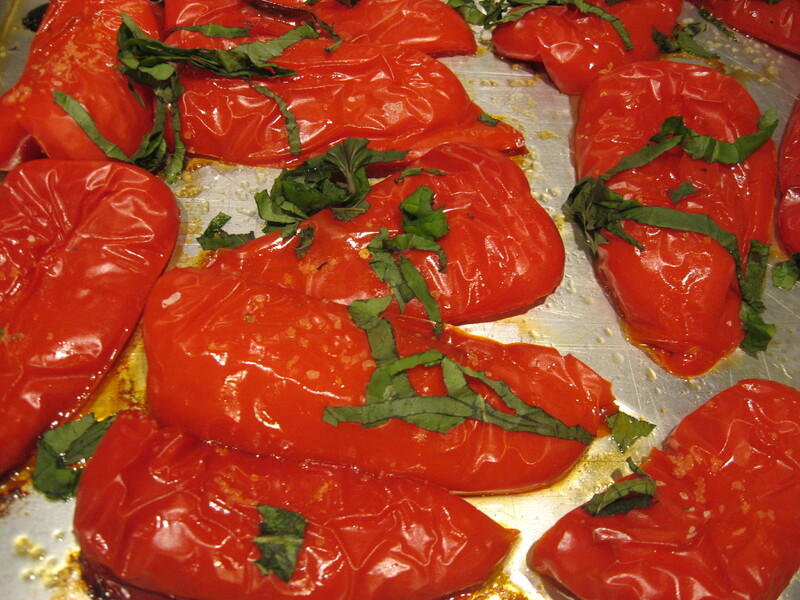 Wash 4-8 red bell peppers. Remove the stem, cut in half and seed. Cut in half again and place cut side down on a shallow baking pan about 17 x 13 inches in size. 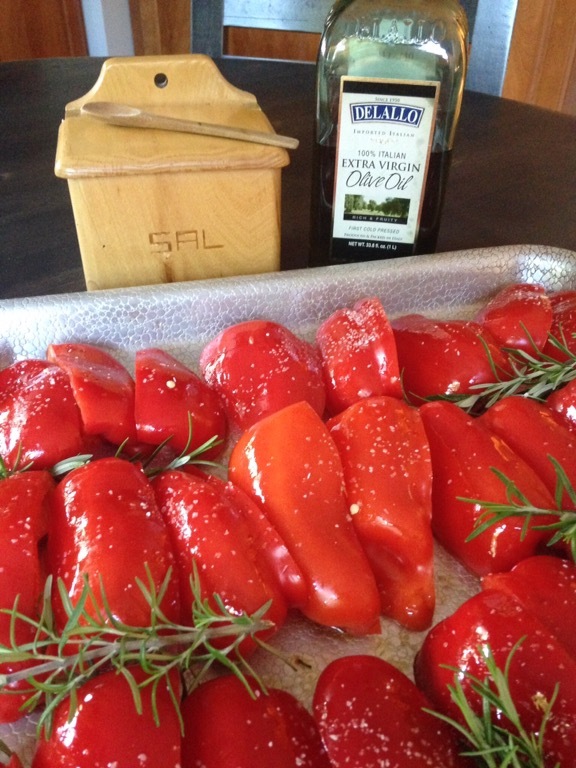 Sprinkle peppers with olive oil and rub to cover peppers with oil. Sprinkle with flaked sea salt or kosher salt. Bake at 400 degrees for 30 minutes, or until tender and the juices are slightly carmelizing in the pan. Remove from oven. If you haven’t added the Rosemary, you can add several basil leaves, cut julienne style and toss over the peppers in the baking pan. Let sit 5 minutes. 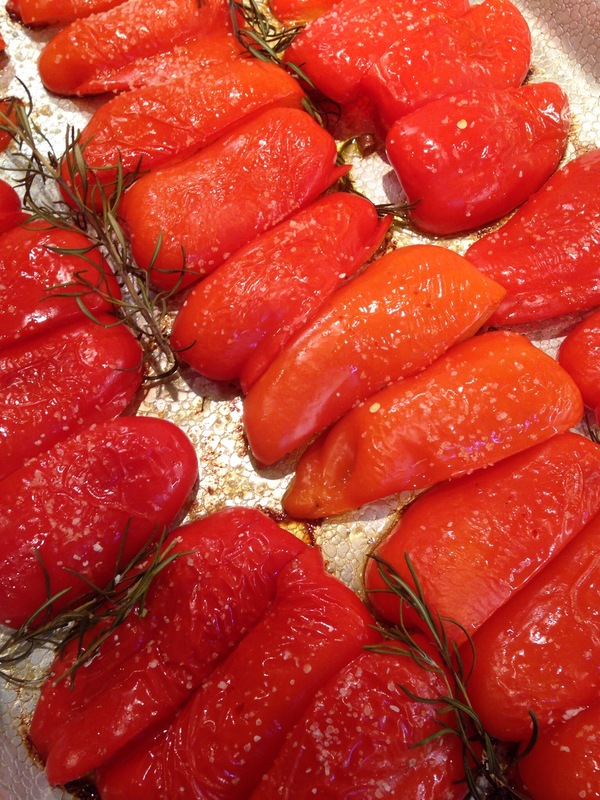 Use a metal spatula to remove the peppers to the serving plate and serve warm. You can reheat the peppers, but handle them gently. Posted in salads, vegetables and tagged basil, peppers, roasting. Bookmark the permalink.